The extra heavy duty design of this Jump Start pack will work on any 12 volt vehicle, and with the built in LED lights at the end of the jumper cables, it is very easy to use even in the dark! 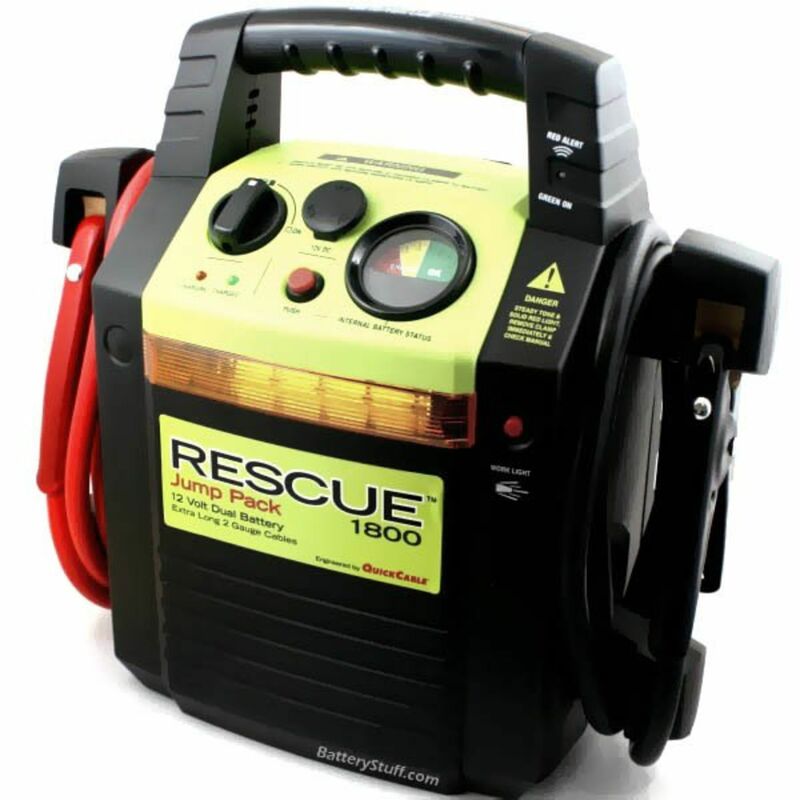 The Rescue™ Jump Pack 1800 is a heavy duty 12 volt dual battery commercial jump pack. Made with heavy duty parrot clamps and 100% copper welding type cables, the 1800 is the most powerful RESCUE Jump Pack. With dual 20 amp hr batteries, the Rescue 1800 is designed to jump start any 12 volt vehicle, heavy machinery. features a powerful 20 amp hour battery and a storage compartment to carry small tools and accessories. *Flat Rate Shipping Does not apply to this oversize product. Do you own the Rescue 1800? Please, tell us what you think about it. It helps us provide you with better products. Please note that it may take up to 72 hours for your review to appear.